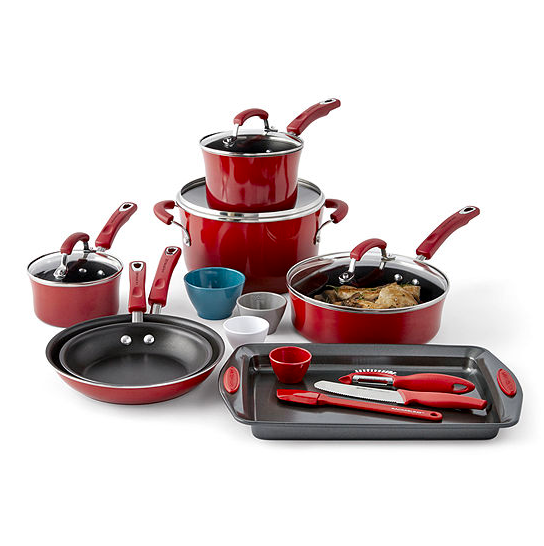 This Rachael Ray 18-Piece Aluminum Non-Stick Cookware Set includes everything you need to get cooking: 2 covered saucepans, a covered stock pot, 2 skillets, a utility knife, measuring cups, a cookie sheet, and other kitchen tools. These 100% aluminum pieces are oven safe up to 350 degrees. We couldn’t believe the sale price on this set, which retails for $300. It’s on sale for $109.99, and you can save even more with a coupon code. Enter code 63GETNOW during checkout, and your total will drop to just $82.49! We couldn’t find this set at another online retailer for less. Shop now, since this deal ends 1/16.